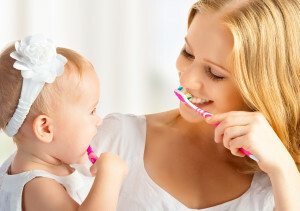 Good oral hygiene takes place at home, at school and in your work place. It is literally the first line of defense against oral bacteria and tooth decay. With oral hygiene, your regular dental visits are little more than examinations and routine cleanings. Without oral hygiene, the passage of six months can mean terrible complications and a string of required procedures. Dentistry is an unusual profession, because its dentists encourage patients to practice habits that prevent more expensive procedures. With proper brushing, flossing and dental hygiene, you limit your visits to twice a year. Without consistent hygiene, we guarantee that you will need to see us more often! Ignore your oral hygiene or avoid your dentist completely and devastating tooth ache will eventually drive you to the Yuba City Dentistry Group. Avoid this unhappy situation and keep your visits pleasant by following the advice you find in this section of our website.